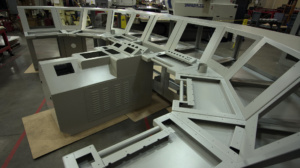 Coastal Manufacturing, Inc. offers several build and shipping options that can be tailored to best suite your needs. Coastal is set apart due to our Order Fulfillment Service. If your business model works best when you give complete focus to product development and marketing, Coastal can play an integral part in that plan by providing warehousing of the finished product then packing and arranging the shipping logistics to get your product to market. This is only one of our build and shipping options.